Goodreads synopsis- What if you live for the moment when life goes off the rails—and then one day there’s no one left to help you get it back on track? Althea Carter and Oliver McKinley have been best friends since they were six; she’s the fist-fighting instigator to his peacemaker, the artist whose vision balances his scientific bent. Now, as their junior year of high school comes to a close, Althea has begun to want something more than just best-friendship. Oliver, for his part, simply wants life to go back to normal, but when he wakes up one morning with no memory of the past three weeks, he can’t deny any longer that something is seriously wrong with him. 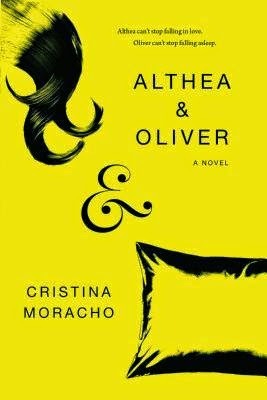 And then Althea makes the worst bad decision ever, and her relationship with Oliver is shattered. He leaves town for a clinical study in New York, resolving to repair whatever is broken in his brain, while she gets into her battered Camry and drives up the coast after him, determined to make up for what she’s done. Anyone who knows me knows that this type of book- YA contemporary, coming of age- really isn't my favorite. I have to be in the right kind of mood to want to read a book like this. And when I first picked this book up, I really wasn't in the mood- or at least that's what I thought. I was hooked from the first sentence. That doesn't happen a lot. It usually takes me a few pages to fall into a book, or sometimes even a chapter. But this book- this book I fell in love with from the get-go. Moracho writes with such beauty and such wit that you can't help but fall into this book and wonder where her beautiful words will take you next. I laughed, I cried, I cringed, and I reminisced on my days in high school and the pain and laughter and friends and adventures that go along with it. This is the kind of book that pulls at your heart, makes you stop and thing, pulls some more, and then lodges itself into the deepest crevices of your soul once it's all over. You won't forget this book, and you won't forget this author.